Set on the eastern edge of the Mendip Hills, Frome is built on steep handsome hills around the river. Frome means ‘brisk-flowing water’ and the early town and its Market Place grew around springs. To this day, these provide continuous supplies of fresh clean water, as it has done throughout the town’s long history. This can be seen in Cheap Street, one of the best preserved medieval streets in Europe. Here, the leat winds its way down the centre of the pavement. Frome is a stunning market town with a beautiful heart. Distinct areas of historic buildings are connected by sinuous streets, elevated walkways and alleys winding up and down the hillside and providing ever changing views of the townscape. Along the way, interesting shops nestle within one of the largest collections of listed buildings in Somerset. Frome’s town centre is largely unaffected by redevelopment. 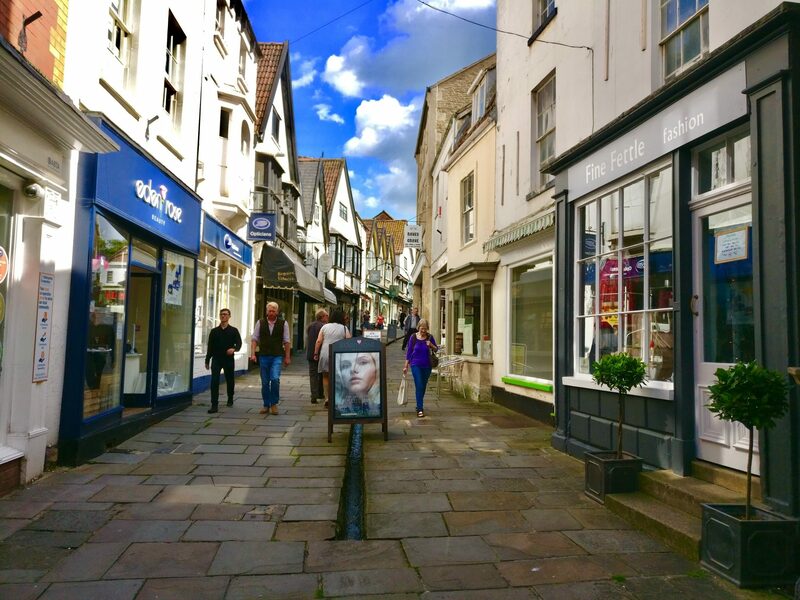 Some central streets are still cobbled and many of the buildings date back to the 1700s, and as such there is a wealth of historic places of interest for you to visit. The town dates from around the 7th century when the Abbot of Malmesbury, St Aldhelm, founded a monastery here. The monastery has long since disappeared. However, interesting religious buildings continue to dominate the skyline including St John’s Church with its unusual Via Crucis and Rook Lane Congregational Church built in 1707, now an arts centre – these are only two of Frome’s 370 historic buildings. Frome was an acclaimed centre for cloth production from c.1475 to 1790. John Leland (1542) describes a town of “fayre stone howsys” built on the proceeds of the cloth trade and the markets. Cloth from Frome was sold through London and exported to Europe. According to Daniel Defoe, in 1742-1747, Frome was larger than Bath. The architecture you see today is illustrative of the legacy of earlier industry and trade in Frome. That architecture includes the beautiful Silk Mill in Merchant’s Barton. 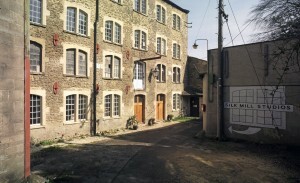 The Ward family, silk throwsters of Evercreech, Bruton and Shepton Mallet, constructed the building, which served as a mill, in the closing years of the 1700s. Now, it is a thriving art space, rescued by local people and lovingly brought back to life. As a result of the decline of the cloth trade, Frome became a market town for the agricultural area around. 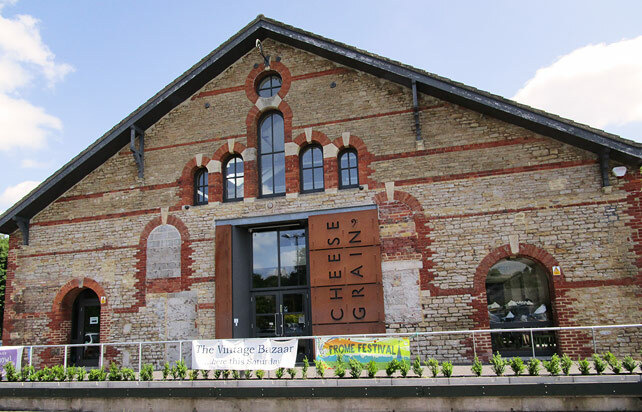 The Cheese and Grain building, the frontage of which has recently been restored, provides a key link to Frome’s history as a market town. Multiple markets existed at the time of the Norman Conquest; their presence has helped form the town’s cultural identity. One of the defining events was the completion of the New Market Hall in 1875 with a siding from the Radstock branch railway completed in 1854 and the opening of the building for sales of cheese and grain which give the building its name today. The tradition of markets continues at the Cheese & Grain. Further, it serves as a popular music venue and business hub. Throughout history, Frome local aristocrats or a borough government did not control Frome. Rather, the local clothier families, many of whom were non-conformist, dominated. The weavers & other cloth workers were also often literate and independently minded. This tradition and sentiment continues today amongst the engaged population of Frome. Today, a visit around Frome will take you through independent shops and arts venues, as the town continues to be a vibrant social and cultural centre. 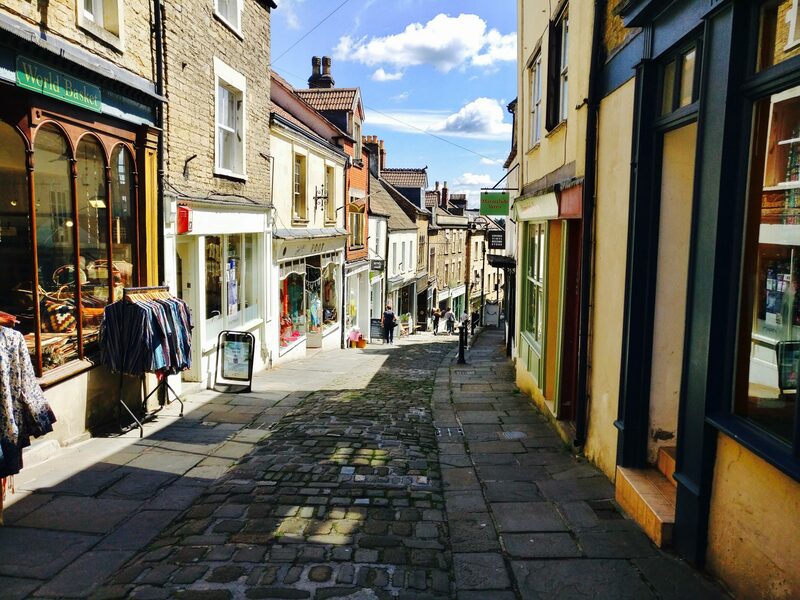 The best way to learn about Frome is to look around and see the sights, from winding streets to historic churches. For example, the Frome Museum also many local industrial artefacts, maps and photographs. Look around our interactive map to see what you can find around Frome. Below you can find more information on the historic areas to visit in our places of interest. You can also read our history blogs, which highlight some interesting and lesser-known aspects of Frome’s history. Additionally, you can pop in to the Information point at the Black Swan Arts or Frome Town Hall to find out more on what there is to visit.